A real-estate listing for a 16-bedroom home notorious for being an illegal rooming house has been toned down after concerns about how it was being marketed were raised in a Free Press story Monday. The University Heights home that’s zoned for single-family use had been listed as having revenue potential up to $93,000 per year, raising the hackles of neighbours and city Coun. Janice Lukes, who has made it her mission to go after illegal rooming houses around the University of Manitoba. WinnipegRealtors — formerly known as the Winnipeg Real Estate Board — says it has contacted the agent about removing the listing’s reference to the revenue potential, and has organized a Nov. 8 information session on zoning and building permits for its members. The 2,500-square-foot dwelling was inspected by city officials Monday morning, said real estate agent Glen Williams. The inspection will spell out any limitations or requirements about what can and can’t be done there to help inform prospective buyers about the property and its potential, he said. “I don’t think it’s as exciting and controversial as has been reported,” Williams said Tuesday. The dwelling that’s served as a fraternity house, illegal rooming house and been the subject of a number of building-code infractions has been a thorn in the side of its neighbours and the target of Lukes, the councillor for Waverley West. She told the Free Press earlier the home is being sold by the estate of the deceased owner when, in fact, longtime property owner Nick Hildebrand sold the property for $250,000 on Aug. 15, land title records show. He died on Aug. 21, his obituary in the Free Press said. The new owner is a company called Alschell Inc. that lists a residential area of East St. Paul as its address. The house is listed for $449,900 on realtor.ca. “The current vendor is not interested in being a landlord. The last owner owned it for 20 years,” Williams said, noting the late owner was earning $93,000 a year in revenue from the property. Peter Squire, WinnipegRealtors’ vice-president of external relations, said Williams was spoken to about marketing a house zoned for single-family use as a revenue property, and the issue was addressed. Squire said his organization is being proactive by hosting a zoning and building permits information session for its members hosted by City of Winnipeg zoning and permits administrator, Martin Grady. So far, 100 real-estate agents have signed up for the session. “The big issue is the need for more supply,” Squire said. The University of Manitoba has one of the lowest rates of on-campus housing in Canada, and out-of-town students scramble to find affordable accommodations close to the school. In 2017, Lukes spearheaded a study that found there may be as many as 150 illegal rooming houses in the neighbourhoods surrounding the U of M.
If the U of M is being more aggressive and recruiting more students, how are they addressing the housing issue? asked Squire. “It is a bigger issue and we need to be part of the solution,” he said. Thanks to Ryan Thorpe and the Winnipeg Free Press for covering this important issue in our community. The future of a notorious University Heights rooming house, which has a history of bylaw infractions, is uncertain; the owner has died and the home has been put up for sale. 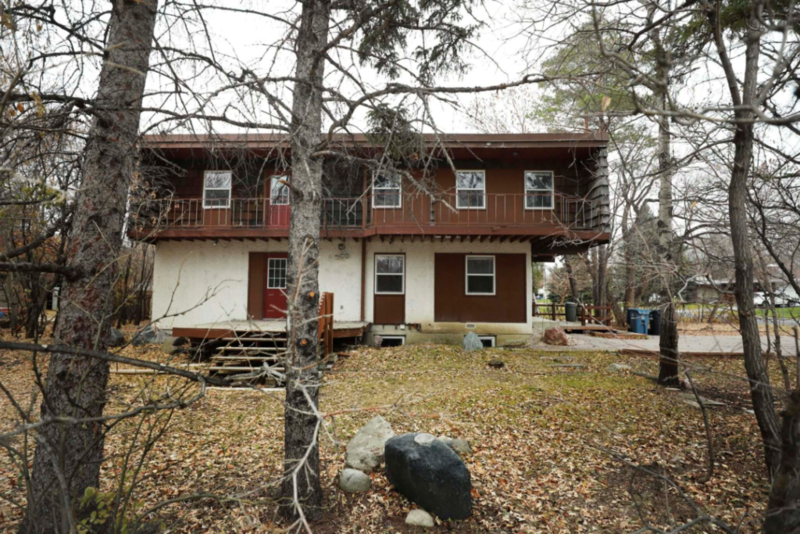 The 16-bedroom, 2,500-square-foot property is vacant now, but for years it was run as an illegal rooming house, targeting students from the nearby University of Manitoba, which has one of the lowest rates of on-campus student housing in the country. The real estate agent hired by the deceased owner’s estate is marketing the house as a “great opportunity” for “income potential up to $93,000 per year.” That suggests the home is being advertised as a rooming house, despite the fact it’s zoned for single-family use. Coun. Janice Lukes has made cracking down on the illegal rooming houses near the U of M, which often target and take advantage of international students, a priority. Lukes said the home, which was a fraternity house at one point, has long been a headache for neighbours and has a history of failing to meet building codes that stretches back years. “Everyone knows about this place. Right from Day 1 it has been on my radar. It has a long history of very bad illegal rooming house stuff. It’s been shut down. There were locks on the doors and the doors were numbered. It has a notorious record,” Lukes said. Real estate agent Glen Williams, who is listed as the contact on the property’s online ad, did not respond to a request for comment. Despite the fact the advertisement strongly hints at the home’s future use as a rooming house, Lukes said the city cannot do much until it operates as one. Until that happens, the city’s hands are tied. “The city is going to be watching it like a hawk,” Lukes said. Of the 16 bedrooms — which are in the basement, ground and upper floors — 10 are 9 feet x 9 feet or smaller. Four others are 10 feet x 8 feet. David Burton, who has lived next to the home for more than 40 years, said it’s clear the agent is trying to sell it as an illegal rooming house. “Several groups of people have come through, and when I can, I’ve gone to speak to them. I say, ‘Look, this is zoned as (single-family occupancy). You can’t operate this as a rooming house. And they say, ‘Oh, I didn’t know that,’” Burton said. While the city declined to release details about its past interactions with the owner of the building, a property and development committee report from February 2009 offers a window into one such run-in. That year it came to the attention of the city that the property was being run as an illegal rooming house. When the owner converted the home into “multi-unit, single-room occupancies,” he did not have the required applications and approvals from the city. The construction also breached the Manitoba Building Code and “consequently raises concerns for life safety,” the report reads. In August 2017, Lukes released a report from University of Manitoba researchers, which she spearheaded, that showed there could be as many as 150 illegal rooming houses in the neighbourhoods around the U of M.
If this house gets repurposed, Lukes would be able to chalk one up in the win column in her battle to make illegal rooming houses around the university history. If not, and it is used as a rooming house, Lukes said she doesn’t think it will last very long.